Owning a dog is fun and it can be personally rewarding, but it’s also a responsibility that some people aren’t prepared for and don’t expect. It’s sad and unfortunate when someone adopts or purchases a dog only to discover that they’re ill-equipped to handle the responsibility or provide the level of care and attention that dogs require. If you’re looking for a dog, take the time to do your research and determine what breed’s best suited to your lifestyle, living circumstances, and level of commitment. It isn’t a one-size-fits-all proposition, and you need to be honest with yourself when choosing the right dog. There are many factors to consider before you make the commitment. You might envision yourself training a Collie or Retriever to catch a Frisbee or track small game. But if you don’t have a big enough yard or there’s no dog park nearby, that’s probably an unrealistic expectation and you may need to focus on smaller breeds. If small, hyperactive dogs get on your nerves, a Yorkshire Terrier or Toy Poodle is not the breed for you. Ask yourself a few key questions before you get serious about it. Remember, it’s a big decision, and you don’t want to regret it later on. What kind of lifestyle do you lead? Do you lead an outdoors lifestyle, or are you more the stay-at-home and chill out type? It matters when you’re trying to decide on a breed. Large- and mid-sized dogs thrive in a situation where they can spend lots of time outside, running around in a large space where they can be off the leash. Small dogs usually make better companions if you’re more likely to spend hours binge-watching your favorite Netflix shows than playing fetch at the park. Same goes if you have a job that keeps you busy on the computer for hours at a time. It’s not fair to expect a large dog to spend every day alone inside. Consider whether you’ll need to board your dog or leave him with a dog-sitting service if you’re going to be at the office eight to 10 hours a day. It’s another expense that comes with being a responsible and caring owner. If you live in an apartment or small-size condominium, a Pug, Beagle, Dachshund or Jack Russell Terrier makes more sense for your space than a larger breed. 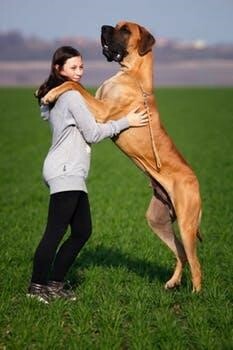 However, there are mid- to large-size dogs that can do well in a small home, including a Bulldog or Greyhound. These breeds enjoy doing their fair share of lounging, but need to get out and stretch their legs from time to time. If you choose to go this route, make sure you can get your pet outside quickly when he has to relieve himself. If you can’t walk him a couple times a day, consider hiring a dog-walking service. Some breeds are more predictable than others when it comes to small children. Most are excellent companions for your children but, as you know, little ones sometimes pull a tail or an ear at the wrong time. You need to be confident that your dog won’t take offense and growl or snap at your kid in response. Pit Bulls, Chihuahuas, Dalmatians, Rottweilers and Chow Chows can get testy with kids who get too familiar. If yours threatens, you may need to seek out a professional obedience trainer. But be aware that even the best trainer can’t guarantee that your dog will always behave under such circumstances. When you bring your new friend home, have a place set up that’s all his own. Keep his bed, food and water bowls and toys there and make sure he can get to it whenever he needs a little alone time. Spend extra time with him until he’s more comfortable in his new surroundings. Getting your dog off to a good start can set a good precedent and build an important level of trust between you.